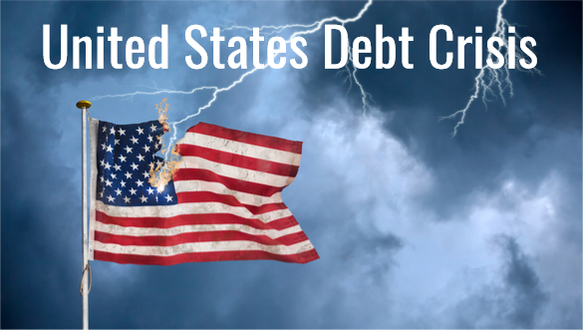 The easy monetary policy and rabid demand for credit since the 2008-2009 financial crises has created a debt bomb of private, public and corporate debt of which $3.3 Trillion in corporate debt will become due in 2023. The U.S. Federal Debt is rising by a trillion dollars ($1,000,000,000,000) a year and has exceeded $22,029,550,686,000, being pushed high and higher by the Trump Administration. Meanwhile, personal debt in the United States has risen to over $4 trillion for the first time in history. Throw on top of a ballooning corporate debt of $9 trillion and the post 2008-2009 financial crisis binge of easy monetary policy, and consumer borrowing has created the makings of a debt bomb that could set off a global financial market meltdown worse than any in world history. While most credit analysts and economists don’t currently see signs of a full-blown financial crisis in the immediate future. The excessive amount of private, public and corporate debt and the likelihood of rising interest rates need to service the debt is creating what could be a huge challenge for companies in general to service and pay off their debt, while also maintaining earnings growth.